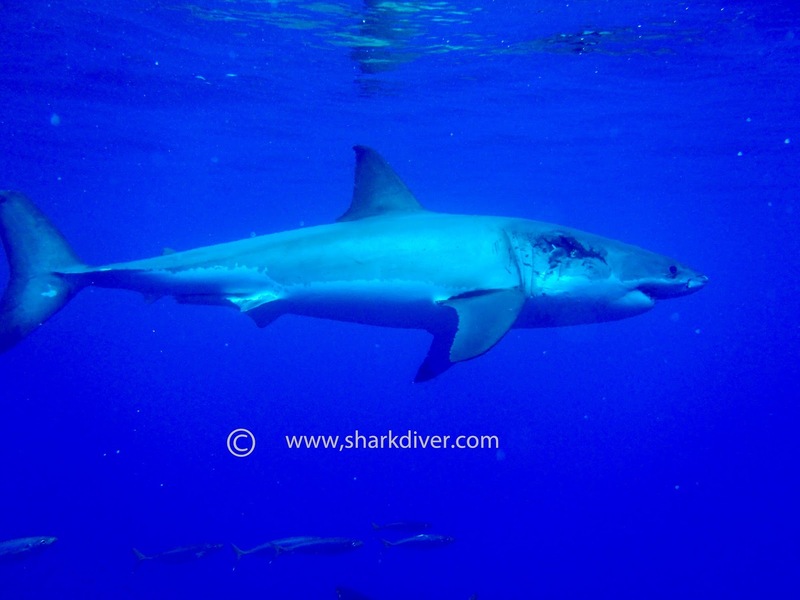 Shark Diver : Shark Diving : Swimming With Sharks: How do we identify the sharks at Guadalupe? How do we identify the sharks at Guadalupe? 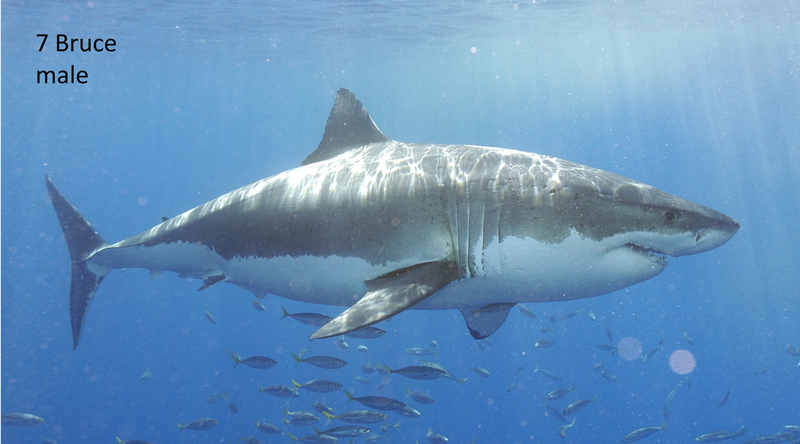 I've been going to Guadalupe since 2002 and have met a lot of great white sharks. When I first saw one of these amazing creatures, I thought it was the most incredible experience of my life. I was thinking "Wow check out that shark!" I thought I was the luckiest guy alive, to be able to work on a boat that gave me the chance to dive with great white sharks. After my third or fourth trip, I was thinking "Wow, another shark" and frankly, I got a little bored and as amazing as these sharks are, I didn't think I would keep doing these trips for much longer. Just when I had that thought, an incredible thing happened. I was in the cage, looking at this little shark (he was about 9-10' long at the time) coming towards me, when I realized that he was looking me straight into the eyes! Now that got my attention. He swam by the cage and kept hisIn eye on me, until he focused his attention on the next diver. "This guy is checking me out" I thought. I can't possibly explain the what happened in that instant, but something clicked. While I had no idea at the time, that was the moment my "relationship" with the shark that became known as "Shredder" began. In the next few weeks, I'm going to write a series about some of the sharks we see at Guadalupe Island, but before I get started on that, I have to tell you how we actually identify the individual great white sharks and how that all got started. In 2002, we didn't have a database that identified the individuals sharks and we didn't know how to identify the sharks. A lot of operators just made up a name for a shark, based on a bite mark, a behavior, a mutilation, or they simply pulled one out of thin air. Those names were different from boat to boat and changed from trip to trip. We had no idea, how many different individuals we saw or to reliably know what sharks we saw. In general, we knew very little about the sharks. We found out pretty quickly, that bite marks are not a very good way to identify the sharks, since they have this amazing ability to heal and even some nasty wounds, barely leave a mark. So how did we find a reliable way to identify the sharks? Chugey with a nasty bite! Enter Nicole Nasby Lucas, a research scientist with the Marine Conservation Science Institute MCSI. In 2002, Nicole started collecting pictures that were donated by the divers of all the shark diving vessels at Isla Guadalupe and put together a database of every shark that was photographed there. Nicole was using the unique color patterns of the sharks to individually identify them, a method still used today, with the database now including 155 individual sharks. The areas we look at to identify the sharks are the gills, the pelvic fin area and the tail, any mutilations and obviously, the gender of the animal. The photo ID is not just awesome to identify the sharks we are seeing, it goes far beyond that. 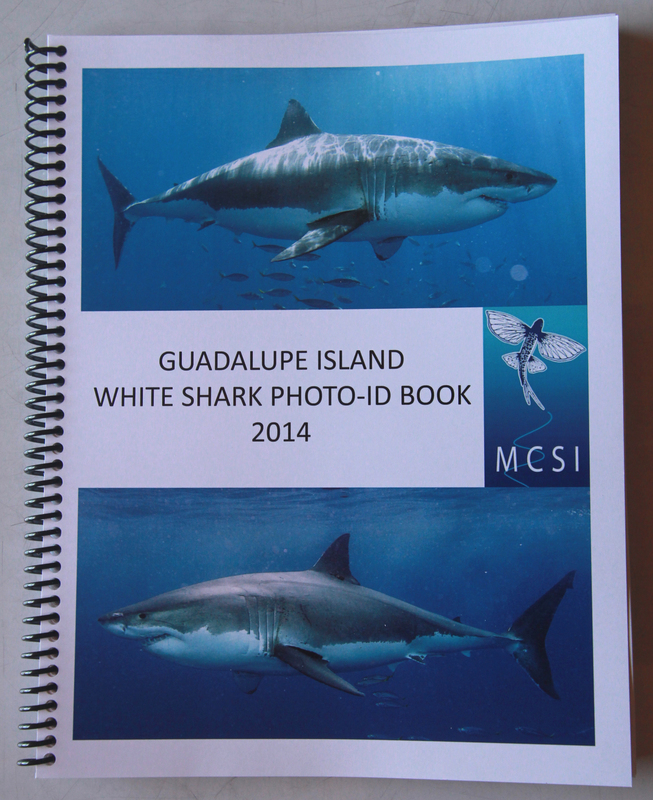 From MCSI website: "The data we collect from this project helps to not only track individual sharks but also monitor the status of the overall Guadalupe white shark population calculate an index of abundance to determine if the population is increasing, decreasing or stable. This is important data in white shark management and conservation." The dates for our special science trips this season are: Sept. 14-19 which is already sold out, Oct. 10-15, only 4 spaces available and Nov. 11-16. If you like to join us, please call 855.987.4275 or, from outside the US 619.887.4275 You can also email us at staff@sharkdiver.com for more information. 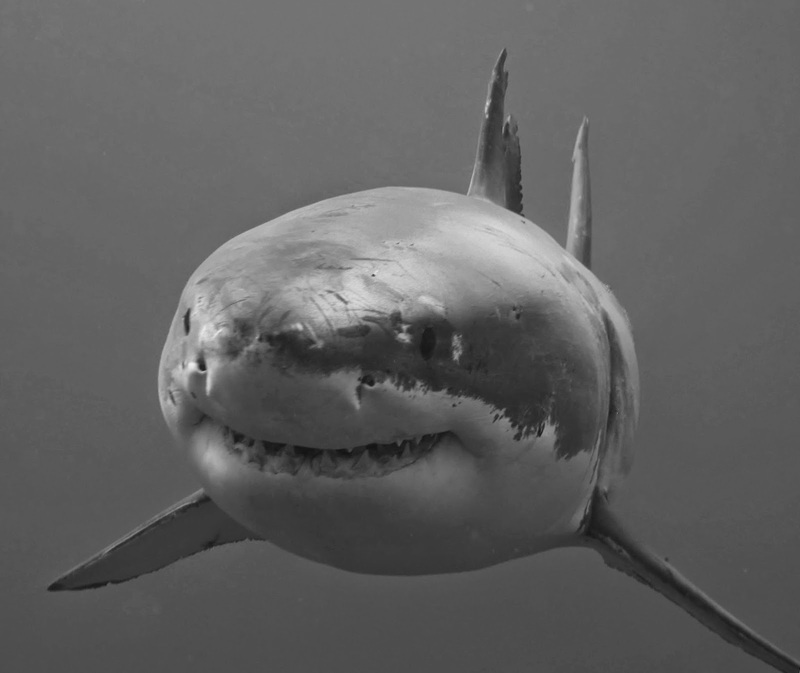 In conjunction with our satellite tagging, we have also been studying the Guadalupe Island white sharks through an extensive photo-identification project. We derived a unique system for identifying individual sharks by their color patterns and currently have a catalog of 154 white sharks from Guadalupe Island. The vast majority of the sharks in our catalog have been sighted over multiple years, with many of them having been sighted every year since 2001. Copies of the photo-ID books are now available with donation, get your copy today! The data we collect from this project helps to not only track individual sharks but also monitor the status of the overall Guadalupe white shark population calculate an index of abundance to determine if the population is increasing, decreasing or stable. This is important data in white shark management and conservation.